It's always an event when a new Chris Watson disc comes into view from the distance. The lauded field recording expert has become widely regarded as the best in his field having recorded three solo discs for Touch since 1996 showing the breadth of his style. He doesn't do anything more than record locations and atmosphere, but if you thought field recording was merely birds tweeting and wind blowing prepare to be astounded, as Watson amplifies sounds you didn't even realise were there, contextualizing nature as experimental music perfectly. 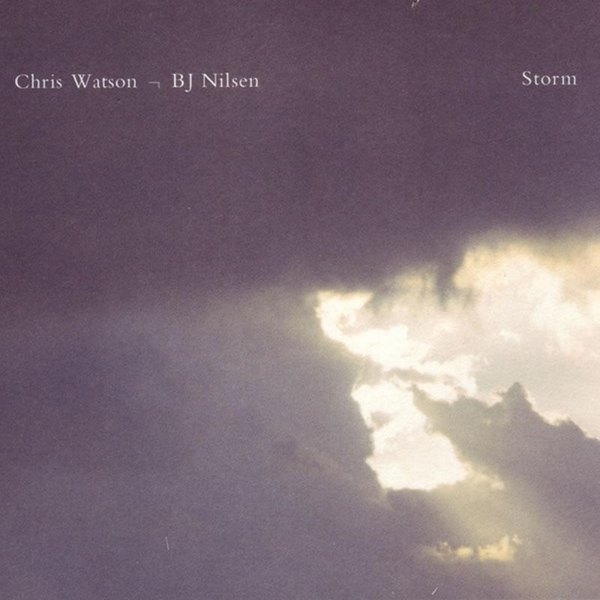 This time around Watson appears with his friend and fellow Touch recording artist BJ Nilsen and the story goes that Nilsen called up Watson to express his interest in a series of storms across the North Sea. Nilsen had been recording them and had been quite stunned by the results, and proposed a collaborative cd project with Watson to explore these natural rhythms and music created by storms at sea. And what a collaboration the two have managed, this disc despite its apparently simple means is as detailed and as absorbing as any collection of supposedly textured experimental music you could possibly find this year with waves of noise so detailed and so organic that when you think about it they could only really come from the organic world. The sound of rain gets lost in crashing waves and wind batters both into submission, rocks are avoided or smashed into purposefully and water rises and falls with unmatched aggression. This is a symphony of the skies, and simply must be heard to be believed whether it is Watson's shockingly detailed track recorded on the North East coast of England and Scotland, Nilsen's more stripped down recordings on two Swedish islands or their collaborative track - each takes us on an intense journey into the very nature of sound, and the sound of nature. Essential.